Last week, an amateur drone pilot landed his DJI quadcopter on the deck of Britain’s newest and most advanced aircraft carrier. The incident was accidental, but highlights the irony of how difficult it is to neutralize threats from smaller aircraft like drones that are slowly filling the skies. But perhaps modifying a missile that can hit speeds of mach 2.2 isn’t the best solution to the problem? 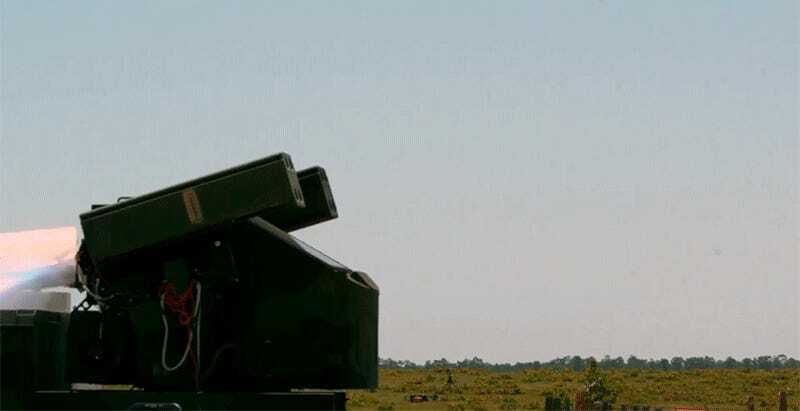 Back in April, at Eglin Air Force Base in Florida, the Army National Guard tested a modified pair of Raytheon’s Stinger anti-air missiles that were upgraded with proximity fuzes that explode in the vicinity of a target, intercepting “two small unmanned airborne systems” for the first time. The missiles, which can be launched from a shoulder-mounted cannon or from attack helicopters, have a range of about five miles, and use an electronic guidance and control system to hit easily hit flying targets like aircraft or cruise missiles. Each one comes with a $38,000 price tag, and Raytheon isn’t just pitching them for use against aircraft like the 48-foot-wide, $4 million Predator drone. The company thinks its Stinger missiles are legitimately a viable solution to taking out much smaller drones and that are highly maneuverable and much harder to detect and engage in the air. There’s little doubt this solution would be effective, as the Stingers have been used in combat for years now. But it seems like an incredibly expensive, and potentially dangerous way to take down aircraft flying at low altitudes. Technologies like electromagnetic cannons that prevent a drone pilot from properly controlling their craft seem like a much safer, and affordable solution to the problem. 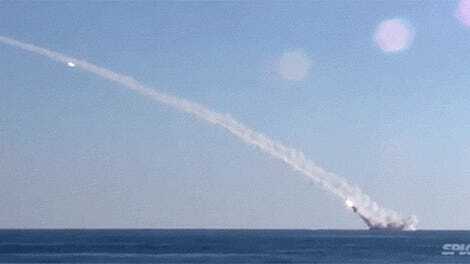 There is something strangely satisfying, however, about watching a missile that can take out helicopters vaporizing what’s essentially an overgrown hobby drone.